2016 had its rough spots, but surely we can all agree on one thing: it’s been a great year for video games. 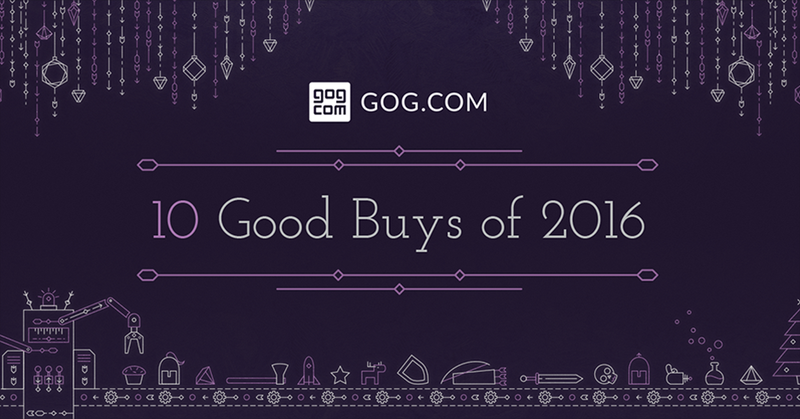 To cap it off, GOG.com is putting ten great releases from this year on sale alongside bundles of classics and modern wonders in the Goodbuy 2016 Sale, starting Friday, December 23rd at 3:00am PST / 12:00pm CET. You can also round out your collection with a selection of classics and modern gems up to 90% off, including Neverwinter Nights 2, Homeworld Remastered, Rebel Galaxy, The Elder Scrolls: Morrowind, Grim Fandango Remastered, and Fallout 1 & 2, to name a few. Plus, scratch that sudden STAR WARS itch with bundles including Rogue Squadron 3D, Battlefront II, Shadows of the Empire, Galactic Battlegrounds, Knights of the Old Republic, and more. Further sale details can be found here. Elysium’s brand new, fresh-start World of Warcraft server will launch Saturday, 7th January. Fortnite Season 4 starts with a bang! BOOM! The comet has struck! Now’s the time to go into Fortnite to see what’s changed.